We all have experienced standing in long queues for railway tickets at least once in our lifetimes. Although, the process has become easier with the advent of internet but the waiting list continues to remain large. 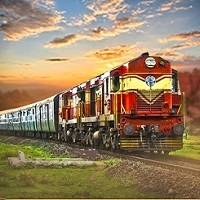 If you are tired of waiting for the confirmation of your railway reservation, then come directly to us. At Uphoria Travels, we are engaged in rendering reliable rail ticketing services to the passengers across Guwahati (Assam, India). We have an alliance with the largest railway network of India, which empowers us to provide rail tickets for any boggy conveniently. So, rush to us whenever you need railway tickets.